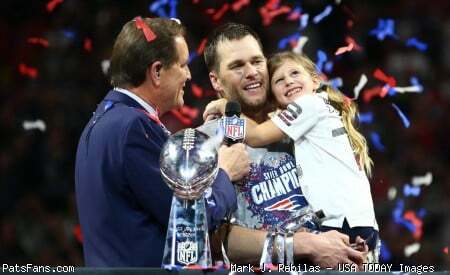 Discussion in 'Patriots Draft Talk' started by manxman2601, Apr 14, 2019. As much as I like Marcus Cannon, releasing him saves nearly 6.5m against the cap next year so I can see the rational for drafting McGary this. Two questions I have 1. Can McGary play swing tackle this year. Can he line up on the left if needed? 2. Could he move inside and replace Thuney if necessary? Of course, if you can save that much money on Cannon, we can probably re-sign Thuney. I can certainly see the rational for making McGary an early pick this year. I find o-line one of the hardest positions to assess but I'm not totally convinced by the couple of games I watched of McGary. He's good but I'm not sure I like him at 32, which is where we'd probably have to take him. I also preferred Dalton Risner - he seems a nastier and more consistent blocker, particularly against the run. No idea if either can play left tackle. Andre Dillard is my favourite but he's likely gone by the mid first round. I quite liked Trey Pipkins and Max Scharping as later options. I think McGary needs work on film but he’s country strong and has athleticism that just needs to be unlocked. I like Risner too but think he goes higher than McGary. You can never have too much talent in any positional group and if they project him as a multiyear high caliber option (ala Mankins) then I guess I would be ok but it comes down to value. I have seen him ranked anywhere from 30 to 100, seems like a waste of an asset to consider before 64. 56 or 64 ok I don't view him as a 1st round talent or value for the Pats. I'm fine with paying our RT $6M a year, as long as he is performing. I certainly wouldn't use a 1st or 2nd in the hope that he would be able to replace Cannon in 2020. I would use a 1st or 2nd on a LT. We need a swing OT this year. I would NOT expect a RG to be good candidate for swing OT. I would expect a LT to be a reasonable swing OT. Also, most college LT's are also LG's in the pros. Obviously, this is a plus in that we might lose Thuney in 2020. Also, I would be fine with a LG who might be able to be a backup LT. The key for me is that we could use a LT much, much more than a RT. I don't like McGary with Any of our top-75 picks. Using one of them on a short-armed OT who has Never played the left side is not my idea of maximizing that pick.